The passion for automobiles, a family tradition! 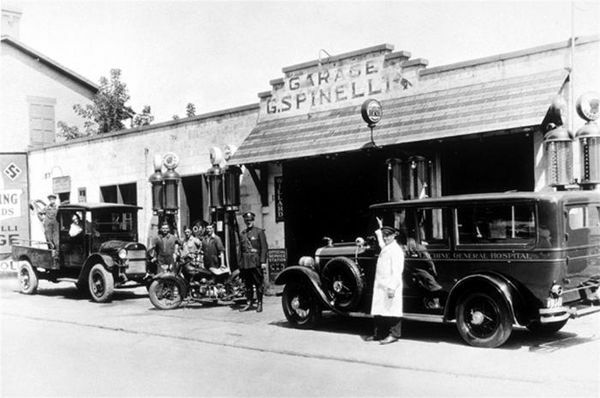 Giuseppe Spinelli came to Canada in 1918. Not long after he arrived in the city of Lachine, at a time when horses were sharing the road with the occasional cars, he discovered a genuine passion for automobiles. He bought himself an old wooden stable, fixed it up and turned it into a garage, set up a repair shop and installed a gas pump. Giuseppe became an automobile specialist. His reputation for integrity as a businessman earned him the loyalty of a constantly expanding group of customers. His philosophy was that honesty, complete integrity, generosity and unconditional devotion to his family all had their place in business relations. He passed on his philosophy to his sons Noël and Jean, who took over in 1960. In 1998 Noël stepped down, leaving the business to his son Pierre. Pierre's approach is similar to his father's and also incorporates values that drive the new economy, such as the pursuit of excellence, becoming an employer of choice and the establishment of clear corporate objectives. Growth and prosperity are also attributable to members of the family all these years have participated and worked hard for it to flourish. The presence of Ronald, Michael, John and Lisa has always assured security, stability and continuity of its rich culture.